​Canyon Lake has more than just single family homes, there are also several condo complexes within the community that provide low maintenance, carefree living. All but one complex are on the water with boat docks and water views and offer some great amenities such as separate swimming pools, tennis courts, guest facilities and more. Read on for more details on each of the complexes within the community. 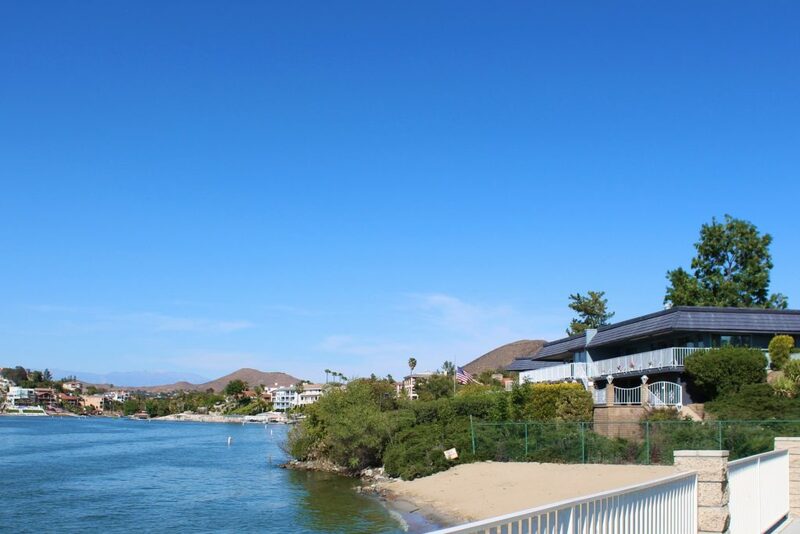 ​Located right on the Main Lake, Treasure Island has without a doubt one of the best views in all of Canyon Lake. With 36 units all built in a circle around the perimeter of the island, there really isn't a bad view anywhere and you're always in the middle of the action on the main lake. The island features a community pool and fitness room as well as a nice lakeside walking trail all around the complex. Each of the 1252 s.f. units was built with 2 bedrooms, 2 baths, kitchen, dining and living room and a 1 car garage and all feature large glass patio doors that showcase the view. Gated access to the community is off of Vacation Drive near the Ski Jump Lagoon. There are upper and lower units and each unit comes with a boat dock so you're only seconds from getting your wakeboarding or waterskiing fix. ​Set midway down the peaceful East Bay, this 27 unit complex features a mix of single story, and two story units with 2-4 bedrooms. All units have a one car garage with laundry hookups and all include either water view decks or park and water view patios. Lots of parking and close proximity to the main gate make it easy to entertain. There is a community pool and hot tub and all residents have boat docks and some are even covered. Indian Beach is adjacent to complex so a day in the sand is super convenient and annual events like Oktoberfest and Canyon Lake Community Theatre are just steps away. ​Bass Place Condos are another great Main Lake complex with a variety of amenities for it's residents like tennis courts, swimming pool, rec room and even guest quarters for your out of town friends and family. This complex is located at the north end of Canyon Lake on Vacation Drive close to the Slalom Lake launch ramp and north gate. This apartment style complex features a secure shared parking garage with each resident getting two spaces. Units all have balcony's overlooking the pool and lake and residents all have access to their own boat dock. These 1560 s.f. homes were originally built as 2 bedroom units, but several have been converted to 3 bedrooms. Located in the center of the community, this charming group of homes are within walking distance of the lodge and Sunset Beach. Each unit has it's own boat dock and residents have the use of a community swimming pool in addition to the nearby lodge pool and tennis courts. The grounds feature nicely manicure landscaping and many of the 36 units have outstanding Main Lake views. Each resident has a covered carport with storage and there is ample guest parking. Homes are all 2 and 3 bedrooms between 1055 s.f. and 1423 s.f. The Villas are gated and residents access the community via Canyon Club drive. ​This 14 unit complex is tucked away in quiet Shelter Cove on the East Bay on Yellow Feather Drive. All units are split level 1600 s.f. with 3 bedrooms and one car garages. Residents have a community pool and hot tub and the ability to tie up to the community dock. Private balconies afford a nice view of the cove and kayaking and paddle boarding are a great experience on the gentle waters of the East Bay. ​Sitting at the end of the East Bay is a quiet little community known as the Eastport Villas which is comprised of one, two, and three bedroom units overlooking Skipper's Cove and the main East Bay Channel. Residents have a boat dock, carport and private balcony or patio. There is a community pool and hot tub and guest parking. Units are generally the most affordable in the community for waterfront condos. The East Port park and launch ramp is conveniently located right next door and access in and out of Canyon Lake is a breeze with the east gate entrance just a few yards away. ​Also part of the Canyon Lake community but outside the gates is another complex in the Towne Center just behind Pepe's restaurant. The Railroad Canyon complex has two and three bedroom units ranging from 1100 s.f up to 1540 s.f.. with garages. There is a community pool and all businesses in the Towne Center are within walking distance. Several units have views of the 7th hole of the Canyon Lake Golf Course. 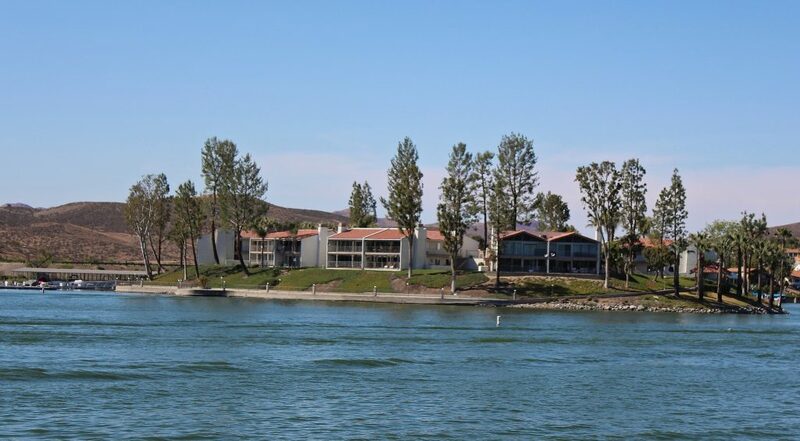 All residents enjoy the amenities and privilege's of Canyon Lake even though the complex is outside the gates. ​Please note all condo associations in Canyon Lake have their own dues in addition to the Canyon Lake Property Owners Association dues. Please contact us for more information.